A place where children, families, and friends come to express themselves freely through Music, Visual Arts, Drama, and Dance. See you at this new weekly series at Hawks & Reed in Greenfield! Check us out on November 18's "Spare the Rock, Spoil the Child" radio show! Under the Tree Music Company and their ever-changing kids’ band (that’s you!) are excited to entertain the masses through an open-staged, freestyle wave of costumes, puppets, dancing, music playing, singing, and as much silliness as possible. Jewelry, music, arts, songwriting, painting, nature, sculpture are some of the "playshops" that Under the Tree offers. Marcy brings years of experience facilitating adults and children alike, who are interested in experimenting with audio and visual arts. The "playshops" are built to be self-directed with open-ended possibilities. 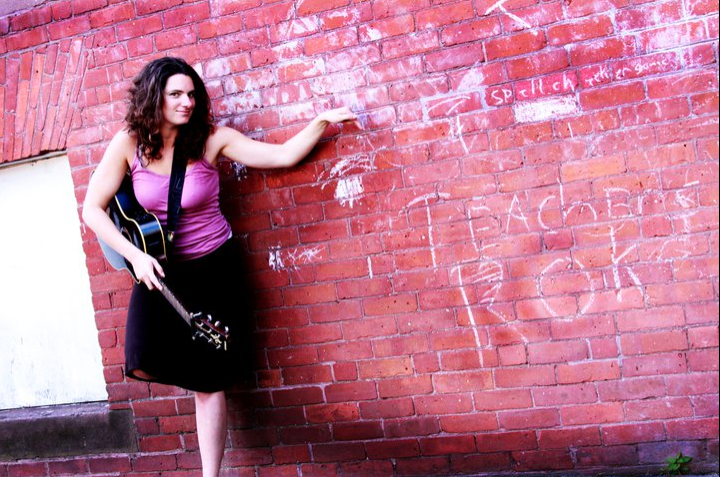 Marcy performs her style of funky folk music all the way from festival size audiences to small intimate settings. She engages her audience with sing-alongs and instruments to share with willing participates. Her performances are never short of surprises! Marcy Gregoire (Under the Tree Music) stopped by WRSI's Spare the Rock, Spoil the Child. Check out the Video! 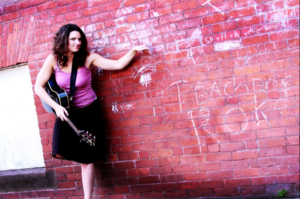 "Marcy and her amazing, ever-changing kids' band have been wowing the masses with their funky, folky blends of originals and beyond. A singer/songwriter, performer, and teacher, painter and jeweler. Marcy's contribution to Earth respect is thought-provoking, interactive and TONS of fun!"